Hello my lovely readers. Enjoying the festive months? Me too :) Because it is my birthday month too. 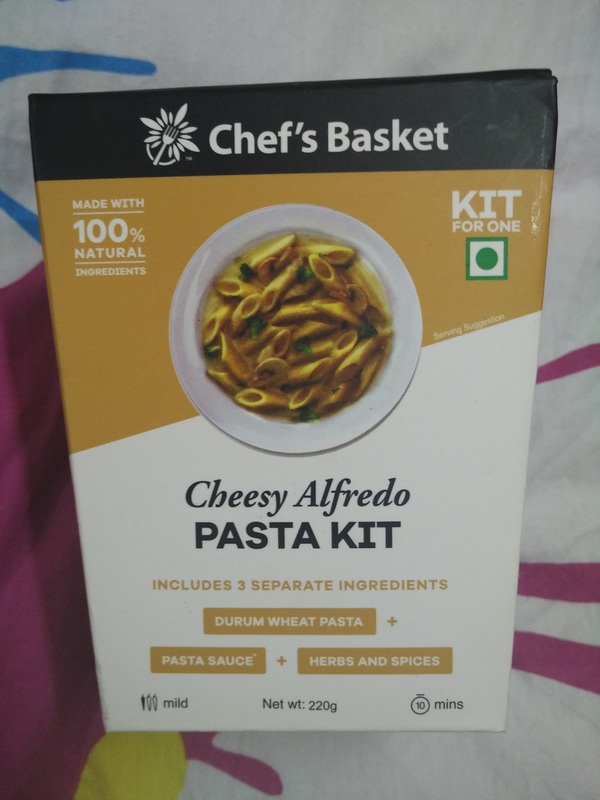 So today I am reviewing Chef's Basket Pasta Kit - Cheesy Alfredo. I love white/cheesy pasta but sometimes I feel too lazy to collect all the ingredients and searching for good pasta sauce. Plus, measurement should be perfect too. 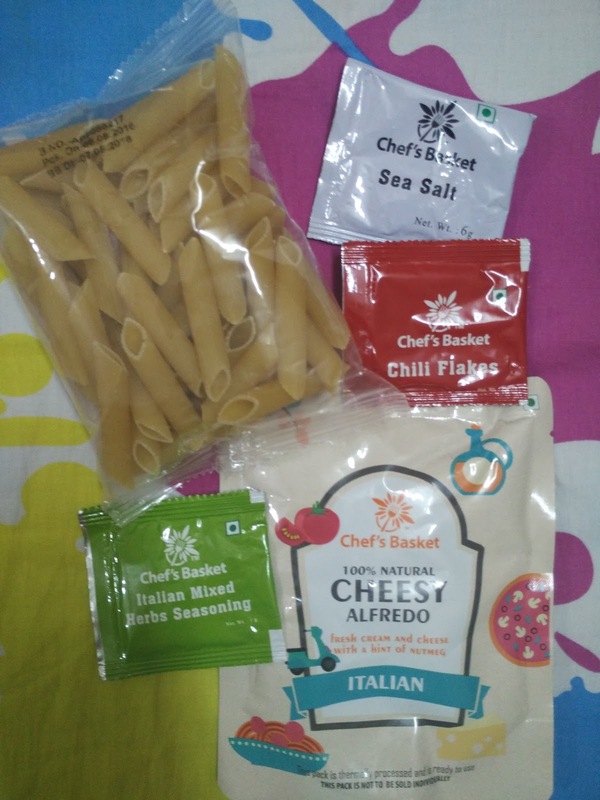 Thanks to Chef's Basket for Introducing Pasta kits which includes everything & in proper measurement. :D How good is this?! 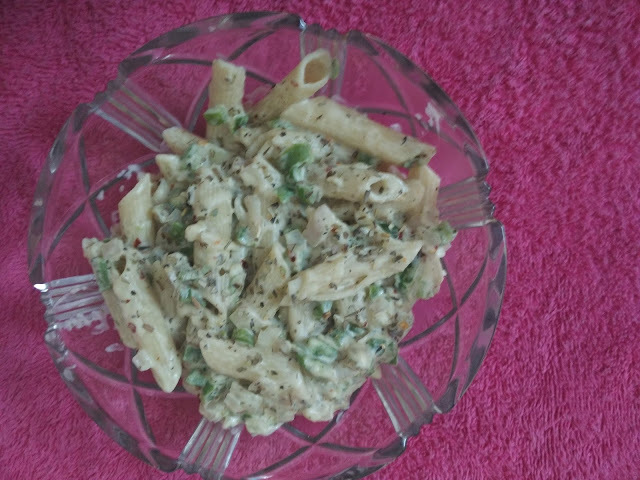 Contains Durum wheat pasta, Pasta sauce, Herbs & Spices. Pasta: Boil 1 litre of water with sea salt (included in kit). Add pasta and cook for 8-10 minutes. Drain the water. Toppings: Saute veggies like bell pepper, broccoli or meat of your choice in a pan untill cooked. Combine: Add Pasta sauce to pan and simmer. Add the boiled pasta & gently toss. Serve hot & garnish as per taste. I'll call this A Perfect Pasta Kit. Like really this made pasta making so easy for me. No compromise in quantity of sauce or herbs & tastes exactly like the pasta we eat in restaurants. Rich in taste & super delicious. No mess & your pasta is read. I'll try their other variants for sure.